The Poldi Pezzoli Ateliers are dedicated to artisans’ workshops for adults, born out of a fruitful collaboration between the Milanese Museum Poldi Pezzoli and Fondazione Cologni. The Ateliers offer an opportunity to go deeper into and experiment about art and artisanal techniques connected to the collections showcased in the Museum: furniture, ancient books, and porcelains are the protagonists of a cycle of workshops, supervised by important master craftsmen, and inspired by the Museum’s heritage. 6-7 April: Wooden Inlay Atelier, held by Florence’s Maestro Renato Olivastri and the Home Museum Educational Service (Servizio Educativo del Museo Horne), in collaboration with OMA-Osservatorio dei Mestieri d'Arte. The participants will be introduced to one of the best-known inlay techniques the "foro-controforo". 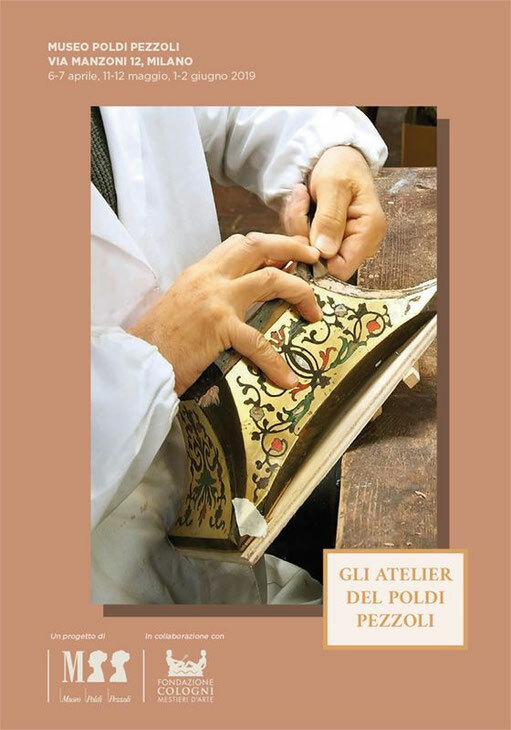 11-12 May: Bookbinding Atelier with Milan’s Maestri Marchesi of the Legatoria Conti Borbone workshop. The participants will be able to experiment in the art of bookbinding, also creating notebooks in marbled and decorated paper. 1-2 June: Ceramics Atelier, held by Milan’s Master Gabriella Sacchi. Partecipants will learn with the graffiti technique, which will be used to draw and sculpt ceramics.